Today’s technology and design assure homeowners can age in place without throwing aesthetics under the bus. Good news: Homeowners wanting to age in place can tap better-than-ever tactics for decades of safe, capable living without a change of address. Better news: Most of today’s accessible design tweaks are beautifully subtle. In new construction, Diane Durocher, a member of the American Society of Interior Designers and a certified aging in place specialist (CAPS), says aging-in-place innovations from years back have become the default. For instance, Durocher says multistory homes now frequently have master suites on the first floor, 36-inch-wide doors, zero to two steps leading to entry doors, lever-style faucets and door handles, tall toilets and even elevators. And many people opt to do blocking-reinforcement inside walls to support shower seats and grab bars-when they build a home so those accommodations can be added later without tearing up walls, says Durocher, owner of Diane Durocher Interiors in Ramsey, New Jersey. Today homeowners of all ages increasingly turn to technology for help, say Durocher and Sheri Gold, another ASID and CAPS designer. 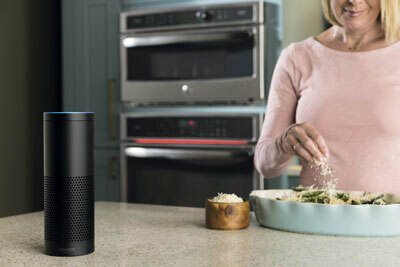 Amazon’s Echo and Google Home, both of which enable voice command over everything from window treatments and lights to oven and thermostat temperatures, are breakthroughs. And smartphone apps can control appliances, security systems and other electronics. When building new or renovating, make choices that take aging in place into consideration. For instance, Gold, who is national showroom and design manager for GE Monogram appliances, and Durocher say floors should be nonskid. With hand-scraped wood floors, Durocher avoids deeply cut options that might cause a foot or walker to wobble. With tile, Gold suggests today’s fashionable 24- or 36-inch sizes to minimize grout lines that can interfere with walking-cane use. Efficient LED lighting is ideal for aging in place because it’s ultrabright, enhancing safety in navigating as well as avoiding obstacles and seeing spills. It rarely needs replacing, a bonus for difficult-to-reach recessed fixtures, two-story-height chandeliers and appliance lights. Touch latches, operated by a tap from a knuckle or elbow, assure simple opening of cabinets in media rooms, offices, laundries, kitchens and bathrooms, Gold says, “and some people prefer the cleaner look [no handles or knobs].” Faucets that turn on with the same gentle pressure (or touch-less ones) are also coveted appointments. The National Institute on Aging says 80 percent of senior citizens’ falls occur in bathrooms, which is Durocher’s priority room for aging-in-place considerations. 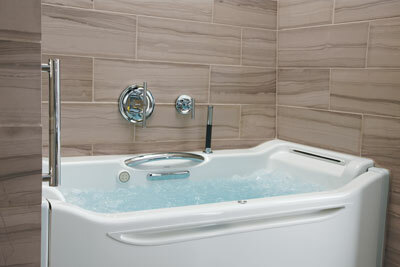 Choose low-sided tubs, not trendy tall ones, for safe entry and exit, she advises. Walk-in tubs have been around awhile, but Kohler’s new Elevance tubs have a super-wide rising wall: You sit at chair height, swing in legs, quickly raise the side and then…just add water. The optimum shower design is curb-less and door-less, with a hand shower near the seat and drain to prevent pooling, Durocher says. Elsewhere in the room, Durocher recommends easy-open medicine cabinets that store items so labels are easy to read. Reachability is king in kitchens. “It’s easier for most people to bend” than deal with high storage, Durocher says. 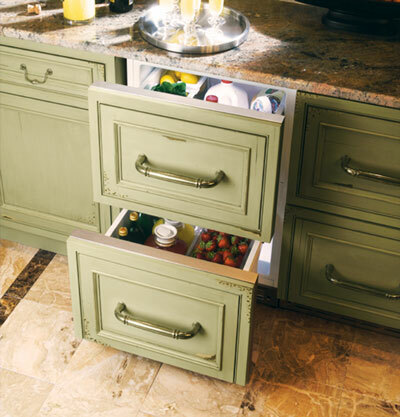 Drawers near dishwashers can be fitted with new peg-insert systems to stabilize dishes and glassware inside, Gold says; heavy pots also are best stored in drawers. Put seldom-used or lightweight items (holiday dishes and plastic leftover containers, for example) in wall-hung cabinets. Gold recommends the lever faucet have a pullout sprayer, “one with a magnet inside so it almost pulls itself back into place.” Brands to explore include Rohl, Kohler and Delta’s Brizo. Kitchens can benefit from a secondary work area, Gold says, because older couples and sometimes their visiting children-often cook simultaneously. 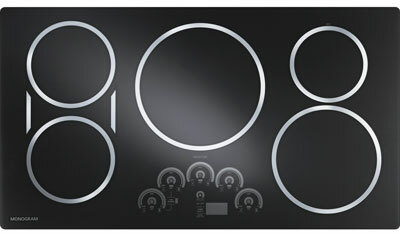 In appliances, she makes a strong case for induction cooktops. “Cookware heats up very fast and cooks very evenly. The instant you take the pot off, [the cooking surface] turns off on its own. It’s easy to clean up spills. Remove the pan, and the surface cools quickly. Just wipe and resume cooking. The surface itself isn’t hot,” although the hot pans transfer some heat to it. Induction’s quick heating satisfies impatient chefs but without open flames and hard-to-see simmer flames that inadvertently can be left on, Gold says. 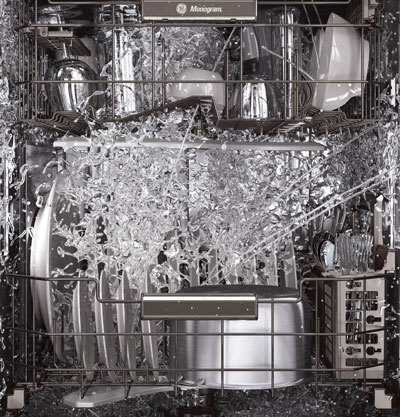 Dishwasher technology also has aging-in-place perks. Some models have LED lighting inside the dark stainless-steel interiors, helpful “if you drop a fork or break a glass inside,” she explains. Gold touts the dual wash zones available from GE Monogram, so you can run a small load just in the top or bottom area-perfect for empty nesters. 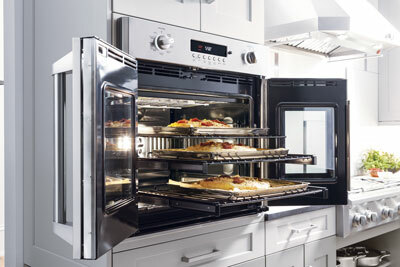 Oven-wise, below-countertop installation can be advantageous. Microwave drawers are one choice. If the budget allows, Gold prefers a fast oven such as GE’s Advantium, which can be used as a convection or microwave oven or warming drawer. She likes French-door wall ovens also. “They’re great for anybody, so you’re not leaning over a door, and are excellent for wheelchair users.” Another refinement: ovens that have visual as well as audible cues that food is done (Monogram offers a light bar that gradually fills as a signal). Drawer-style refrigerators are tremendous aids, Gold and Durocher say, but for resale, Gold recommends a supplemental tall fridge such as Monogram’s 30-inch-wide model. Its top section (not accessible for wheelchair users, she cautions) is refrigeration, the center is an ice maker with additional freezer space, and the bottom area lets users set the temperature for use as a wine chiller, freezer or refrigerator. “It’s not easy to get into a tall bed,” Durocher says, and it’s shouldn’t be higher than a chair, about 20 inches. So choose a mattress, box spring (now available in varied heights) and bed frame accordingly. Wall-to-wall carpet presents a single-level surface for safe movement, Durocher says, but wood floors are equally popular. As homeowners age, area rugs should be kept low or removed to minimize tripping. Growing numbers of front-loading washers are on the market; drawer units under them (and dryers) reduce bending. Chairs and sofas should have low arms and be easy to rise from, Durocher says, suggesting testing for helpful lumbar support before you buy. If you’re struggling with seating you already own, a pillow can give a needed boost. When in doubt, try it out…great advice for every idea in this article. Baby boomer Mary Vinnedge picked up great tips in the process of researching and writing this article. She hopes you did too. In universal design, or accessible design, paint choices can make a huge impact in unexpected ways. For instance, “Color can stimulate or destimulate,” says Sheri Gold, a professional member of the American Society of Interior Designers as well as a certified aging in place specialist designer. “Monochromatic is much more soothing to the brain.” So serene monochromatic schemes are better for someone who has dementia or for someone who has experienced a traumatic event and suffers from lasting stress, says Gold, who is also national showroom and design manager for GE Monogram Appliances. In addition, people with hearing deficits need visual clarity. They must easily see the hands of those who are signing and faces of those who are speaking, which means a cool, calm palette is preferred. But that’s not all. Architect Hansel Bauman, in charge of campus design and construction at Gallaudet University, which specializes in educating deaf and hard-of-hearing students, says to imagine this situation: Think about walking down a hallway and interacting with a deaf person. This individual isn’t looking straight ahead — he or she is focusing on the person signing, so doorways and baseboards that contrast with wall colors serve as important guides, Bauman says in an article for Sherwin-Williams. Bauman also advises against the use of reflective surfaces and bright whites, which cause the pupil to work extra hard to filter out the nuances of sign language. 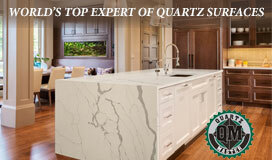 Instead opt for whites toned down with gray and/or green. Diane Durocher, a Ramsey-based designer who is also a certified aging in place specialist and member of ASID, points out that the lens of the eye yellows over time, so greens, purples and blues can be difficult to distinguish if they have about the same value (depth of color). The fix: Go with high-contrast colors when differentiation is important, for example with level changes in flooring. She says clean, saturated colors are preferred for most aging eyes. Beyond paint color, there’s paint content to think about. As people age, their immune systems weaken, so winning the war on disease-causing microbes is very important. Paint Shield is a latex-based Sherwin-Williams paint that kills 99.9 percent of common germs, including methicillin-resistant staph bacteria (MRSA) and E. coli, within two hours of contact. This Environmental Protection Agency-approved paint is available in eggshell finish and more than 500 colors. The paint was originally developed for health care facilities, but the company also recommends it for home bathrooms, kitchens and laundry rooms. Sherwin-Williams also offers Harmony, an acrylic/latex paint that neutralizes VOCs (volatile organic compound gases), which are air pollutants given off by chemicals such as formaldehyde, disinfectants, air fresheners and solvents that can cause respiratory problems. Harmony also improves indoor odors such as those arising from cooking or pets. The paint itself contains no VOCs, and its wide-ranging palette is available in flat, eggshell and semigloss sheens. Mary Vinnedge writes from her low-VOC-painted home in Texas.